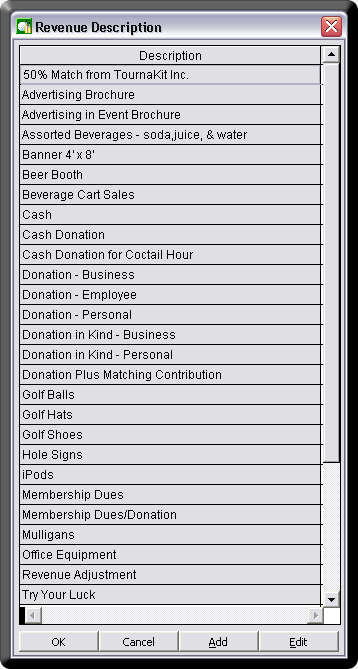 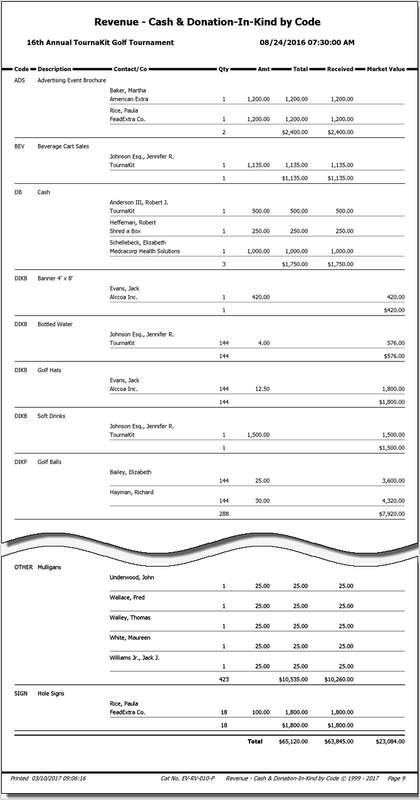 The Revenue section provides line item detail records on a broad range of Cash Revenues and In-Kind Donations. 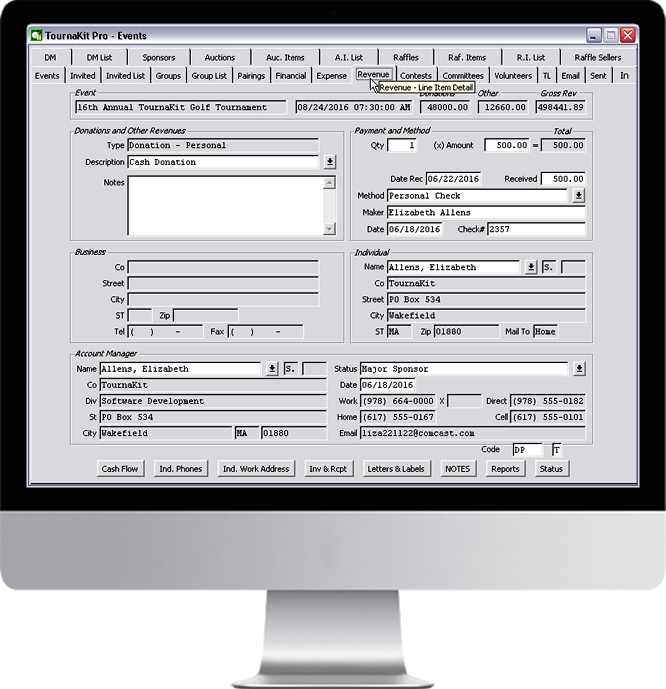 Entries made in the Revenue section are automatically summed by Revenue Type and posted to the Income Statement in the Financial Summary section. 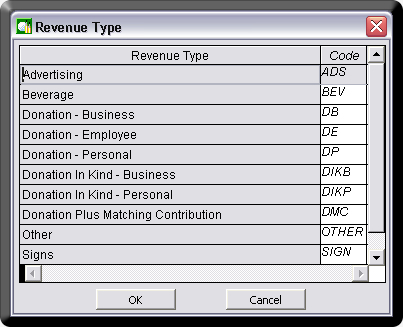 Each Revenue record contains a User Defined field labeled 'Description' for further defining the Revenue Type.